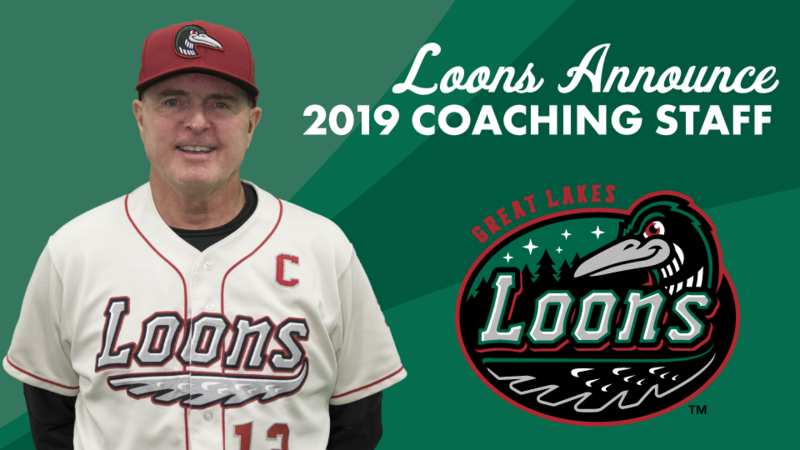 MIDLAND, Mich. - After six consecutive years of new managers leading the Great Lakes Loons, a familiar face is set to guide the 2019 team. John Shoemaker will return to Midland for a fourth season as the team's manager, the Los Angeles Dodgers announced Wednesday. 'Shoe', 62, who is entering his 43rd season in the Los Angeles Dodgers organization and 26th season as a minor league manager, spent the 2018 season at Dow Diamond guiding future Dodgers through a rollercoaster Midwest League season that culminated with the franchise's sixth postseason appearance. He previously spent the 2011-12 seasons as Loons manager. The one-time draft pick of the San Francisco Giants (26th Rd, 1974), Dodgers (35th Rd, 1977) and Chicago Bulls (6th Rd, 1978 NBA Draft), has compiled a 199-219 record over three seasons as Loons manager and has managed more than 3,000 games dating back to 1987. Shoemaker played second base in the Dodgers minor league system from 1977-80 and made it to Triple-A Albuquerque before retiring to become a minor-league hitting coach. 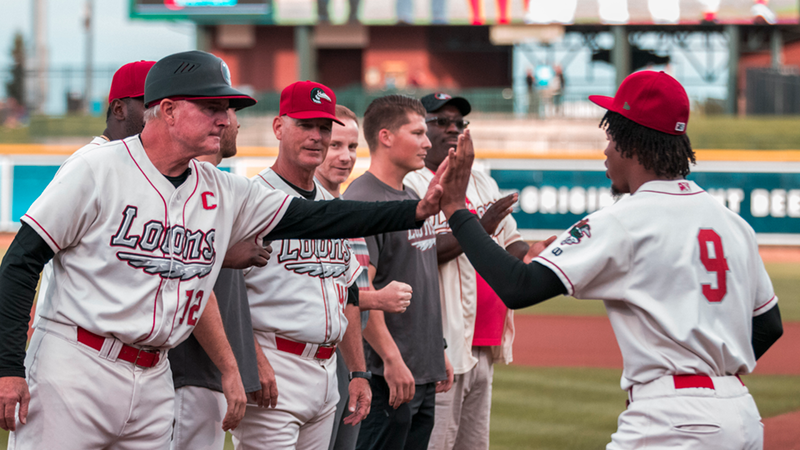 This will be the third time in team history that the Loons have had a manager return for consecutive seasons: Juan Bustabad (2008-10) and Shoemaker (2011-12). Justin Viele will serve as the team's hitting coach for the 2019 season. It will be his third season in the Dodgers system after spending the 2018 season with High-A Rancho Cucamonga and 2017 with Rookie-level Ogden in the same role. Viele, 28, attended Santa Clara University and played two years of pro baseball in the Baltimore Orioles system from 2013-14. 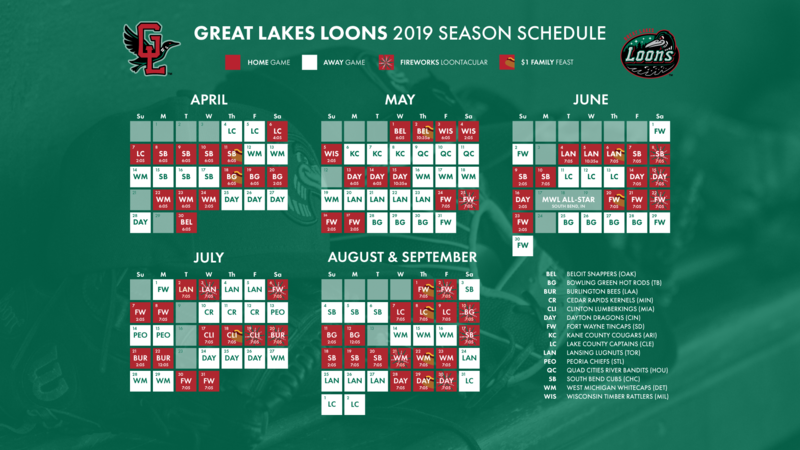 The pitching coach for the Loons in 2019 will be Luis Meza. The former Dodgers minor leaguer spent six seasons (2009-15) within the organization as a pitcher before making the switch to coaching. Meza, 28, spent the 2013 season as a member of the Great Lakes bullpen appearing in 51 games and compiling a 3.96 ERA in 72.2 IP. The Venezuelan spent the 2018 season as the pitching coach for the Arizona League Dodgers, and previously worked as a pitching coach in the Dominican Summer League. Joining the staff as an assistant coach will be former major leaguer Jason Bourgeois. Drafted in the 2nd round by the Texas Rangers in the 2000 MLB Draft, the 37-year-old made his Major League debut in 2008 with the Chicago White Sox and went on to spend eight MLB seasons with six different teams. In over 300 career games, the former outfielder compiled a .253 batting average, with his best season coming in 2011 with the Houston Astros (93 games, .294, 31 stolen bases).